There are well known cities in New Mexico like Santa Fe, Albuquerque, and Taos.There are equally amazing New Mexico cities that are not as well-known including Ruidoso, Las Vegas, Roswell (well, maybe you know that one, haha! ), and Las Cruces. 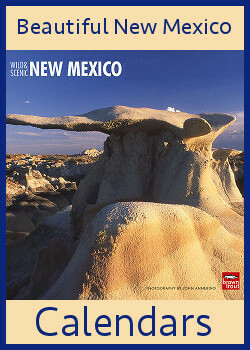 This list is by no means all-inclusive, but it is a list of cities and larger towns in New Mexico that I have spent considerable amounts of time in and include my personal stories and recommendations. That’s the benefit to this site; I have personally been to these places, spent time there, and can share stories with more color than you'll find on most travel site descriptions. 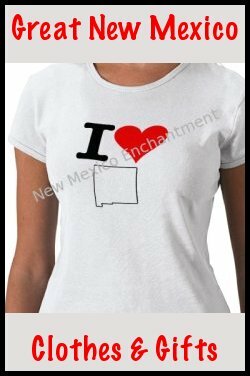 I’m a New Mexico native and was raised by a dad with an “itchy foot”. He’s the kind of guy that needs to get out of town regularly; road trips are cheap, so we took off on a predictable basis the entire time I was growing up. I grew up in Albuquerque, but I spent a lot of time exploring towns of all sizes throughout the state. Plus, sometimes it’s more fun to scroll through a list and see what jumps out at you versus relying on places with the heaviest advertising or loudest supporters. I know I like to get off the beaten path once in awhile and it’s hard to when every recommendation is for the same places or attractions. Is This List For Visitors Or Residents? Good question! It is actually for both. Whether you are looking for memory-making things to do as a visitor, or special places to call your own as a resident, I think you'll find this list helpful. Cities in New Mexico have a lot to offer travelers and residents alike. While I strive to give you the best ideas about what to see and do I also admit I have not seen & done it all. Feel free to send me your stories, whether as a visitor or a resident. Each of these locations has so much unique personality and each has their own attractiveness and I'm striving to capture it all. While these pages layout the very best of each city that I know of, there is always so much more just beneath the surface. I suggest using these outlines as a starting point and planning your trip to allot for extra sightseeing and dining out options. And maybe a day to recover indoors if you're not used to the heat. And with that, off we go! My hometown and the largest city in NM. 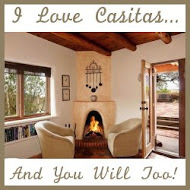 Nestled between the Rio Grande and the Sandia Mountains it is urban with a very earthy flair. It is home to UNM (Go Lobos! ), Kirtland Air Force Base, and a million other things. Near the southern border of the state Las Cruces has mild winters, an easy pace of life, and palm trees! Also includes NMSU, delicious pecans, and fabulous Old Mesilla. A small town on the Eastern side of the state, home to the best peanuts in New Mexico and Eastern New Mexico University (Go Greyhounds!). Only 8,000 residents and mostly agricultural, it is a nice quiet place, but with Clovis and Cannon Air Force Base only 15 minutes away it is close to amenities. The state capital and the oldest city in the state of New Mexico, Santa Fe has long attracted artists, writers, and poets. Nestled at the base of the Sangre de Cristo mountains, this city is aptly named "The City Different". Taos is the biggest little city in the state. It has become a mecca for artists and mystics and winter sports enthusiasts. Find it near the Taos Mountains, Wheeler Peak, and the Taos Pueblo. Experience a truly unique destination.